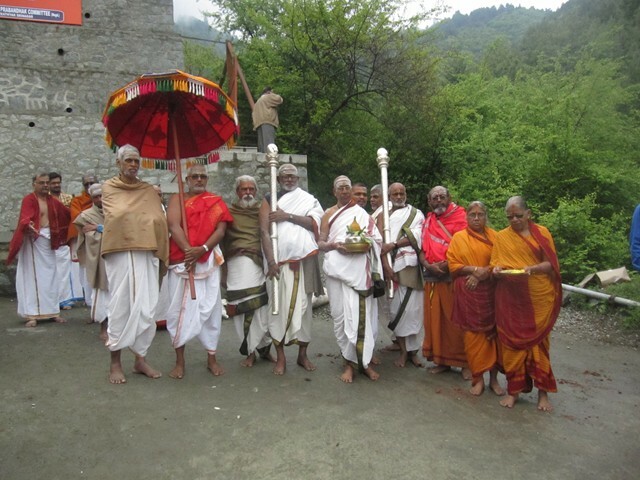 With the benign blessings of Their Holinesses Pujyasri Jayendra Saraswathi Shankaracharya Swamiji an Shri Shankara Vijayendra Saraswathi Shankaracharya Swamiji, a week-long Samskruti Saptah programme was organized by Shri Kanchi Kamakoti Peetham at the ancient Jyeshta Devi (Zeashta Mata) Mandir in Shrinagar, Jammu and Kashmir from 20 to 26th April 2012. 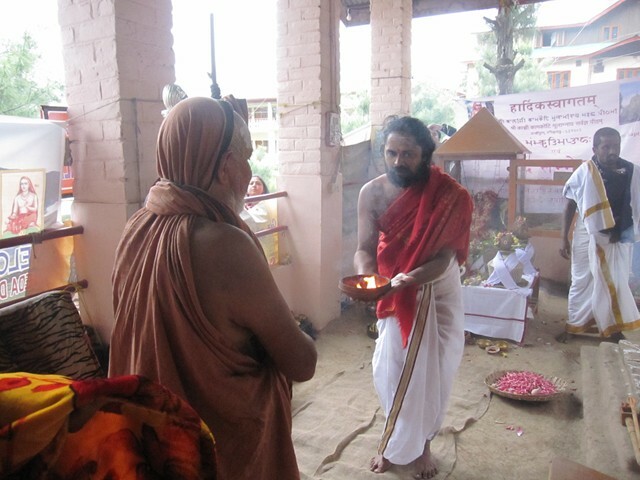 The saptah was held in the benign presence of His Holiness Pujyasri Jayendra Saraswathi Shankaracharya Swamiji. 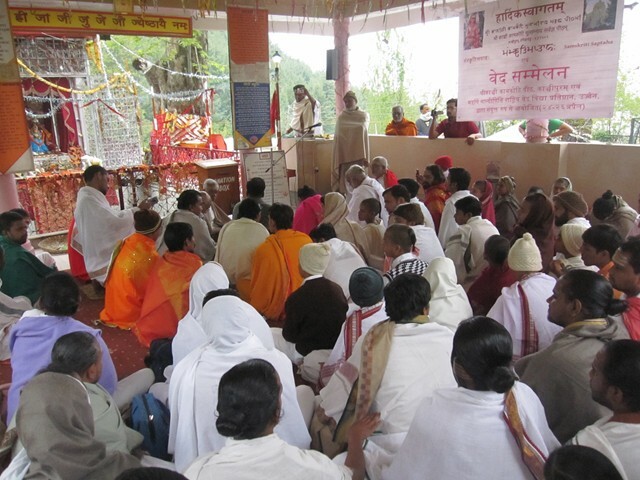 Veda Parayan, Purana and Stotra Parayans, Bhashya Parayan, Yagnas, Upanyas and cultural programmes were held as part of the Sammelan. 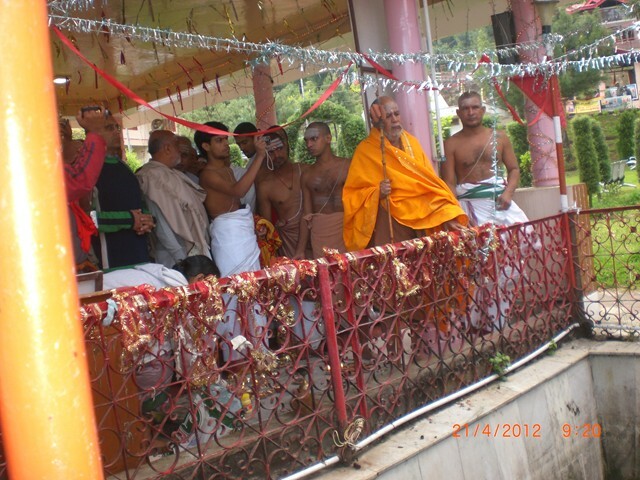 The programme commenced with Punyahavachanam on Thursday, 19th April 2012. 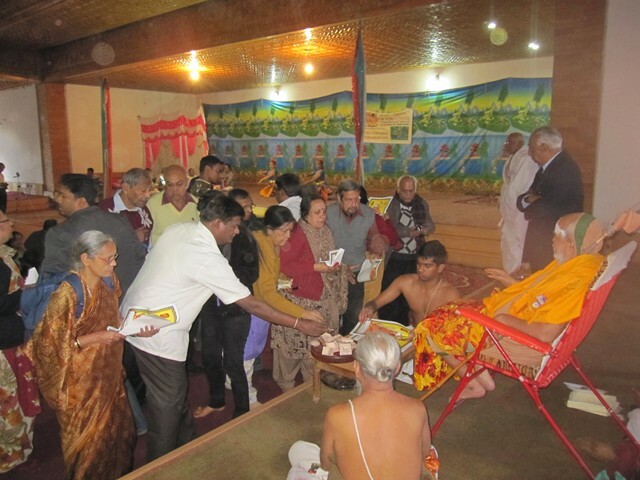 On the 20th, His Holiness Pujyasri Jayendra Saraswathi Shankaracharya Swamiji was received at the temple with Poornakumbham and other honours. 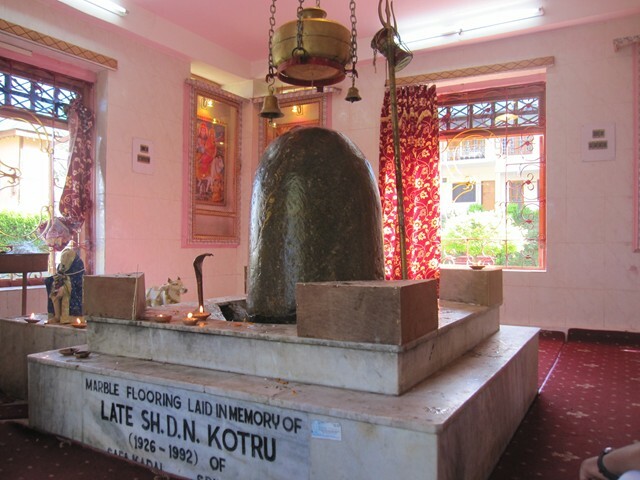 His Holiness visited the Shrines of Jyestha Matha an Shiva. 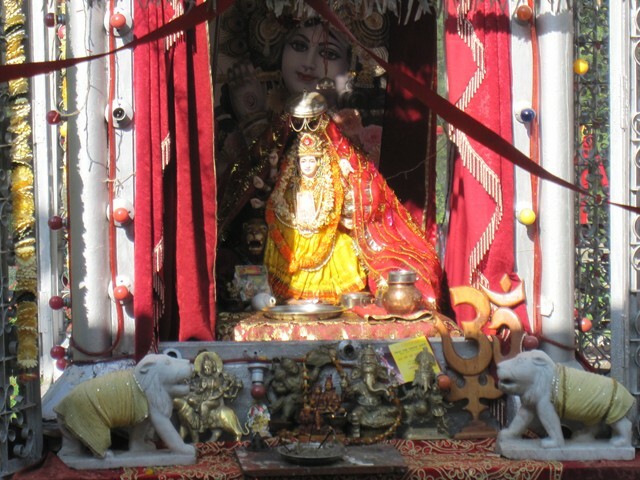 Go puja and Ganapati Homam was performed. 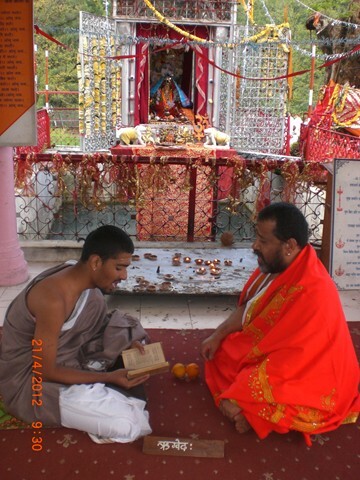 Sudarshana Homam and Dhanvantri Homam was performed on the 21st. 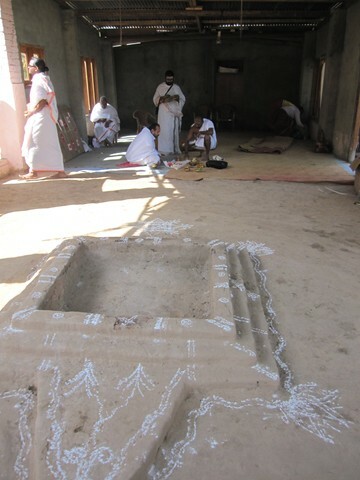 Being Sunday, Surya Namaskar and Navagraha Homa was performed on the 22nd. 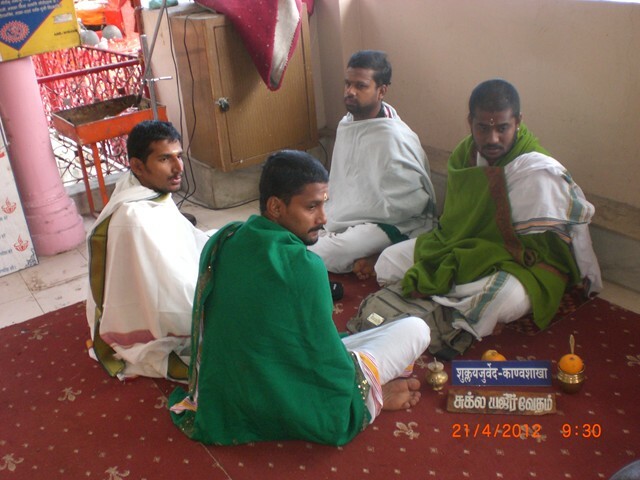 Monday the 23rd - Mahanyasa Ekadasa Rudra Japa and Homa was done. 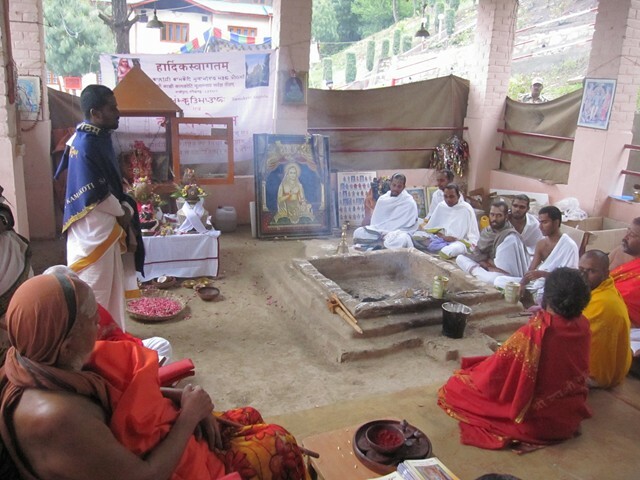 As part of the Shanmata Devata Yagna, Subrahmanya Trishati and Homam was performed on Tuesday - 24th April 2012. 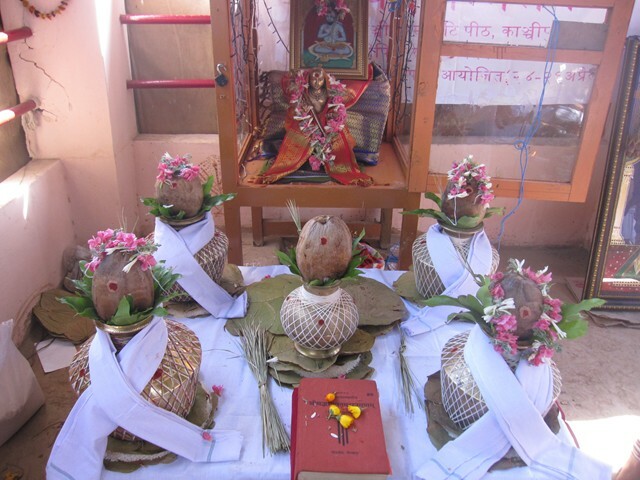 On the 25th, Shrividya Homam, Japam and Lalitha Trishati Ashtotram was performed. 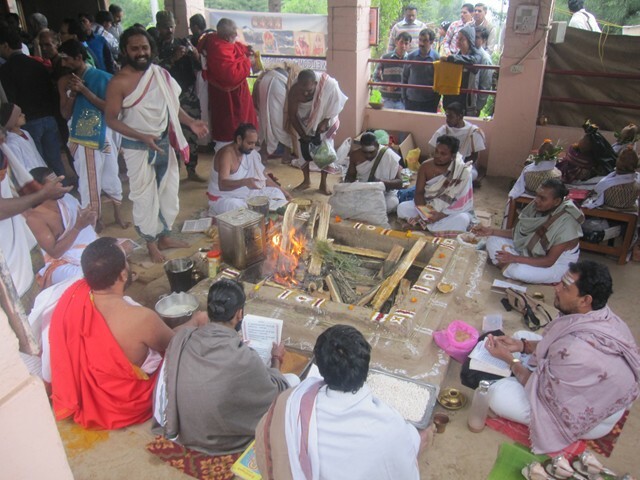 On the 26th, Chandi Havan, Aikamatya Sukta Homam was performed, along with Suvasini Puja. 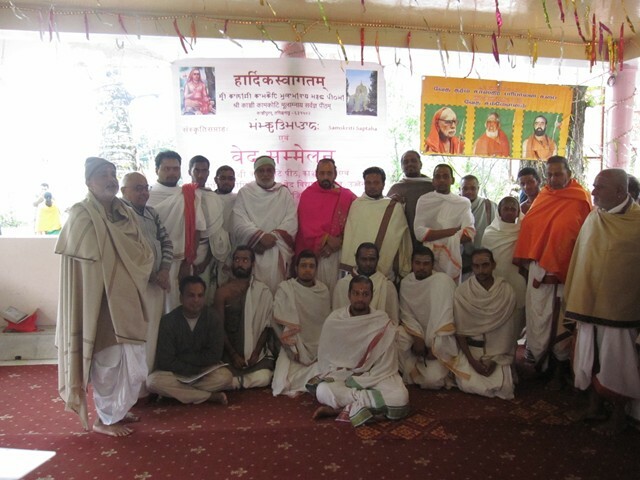 More than 70 Vedic Scholars from different parts of the country like Kanchipuram, Chennai, Andhra Pradesh, Varanasi, Chitrakoot, Pune, Manipur, Himachal, Jammu etc. 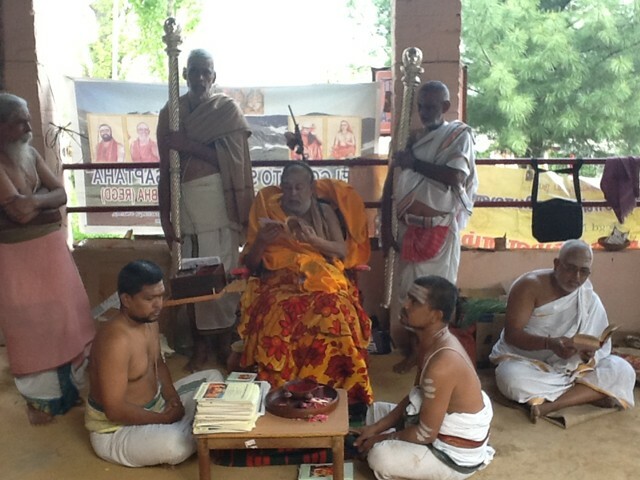 participated in the Veda Parayan. 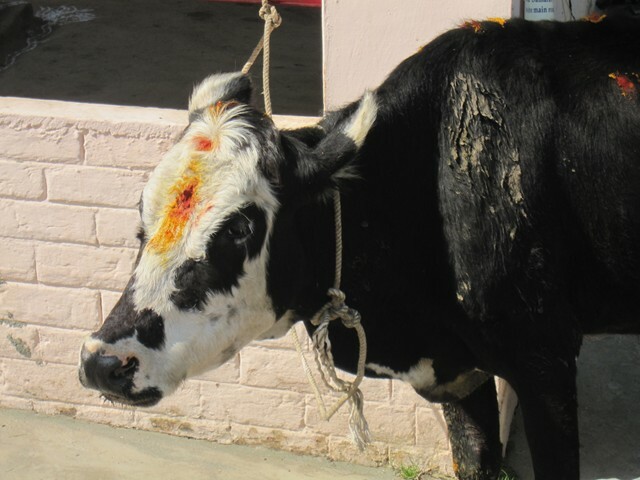 Parayan was performed in Rig Veda, Shukla Yajur Veda - Kanva and Madhyandhina Shakha , Krishna Yajur Veda, Sama Veda - Jaimini, Kauthuma Shakhas, Atharva Veda - Shounaka and Pipplada Shakhas, and also in some rare branches of the Vedas like Samaveda Ranayaneeya Shakha. In their ages too, there was diversity with the youngest scholars being 16-18 years old and the senior scholars in the 80+ age bracket. 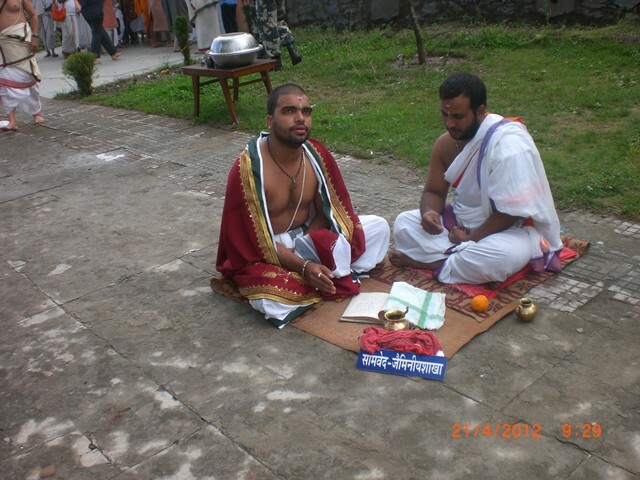 Parayan was held everyday in the morning from 7:45 am to 12 noon and from 3 to 5 pm in the evenings. 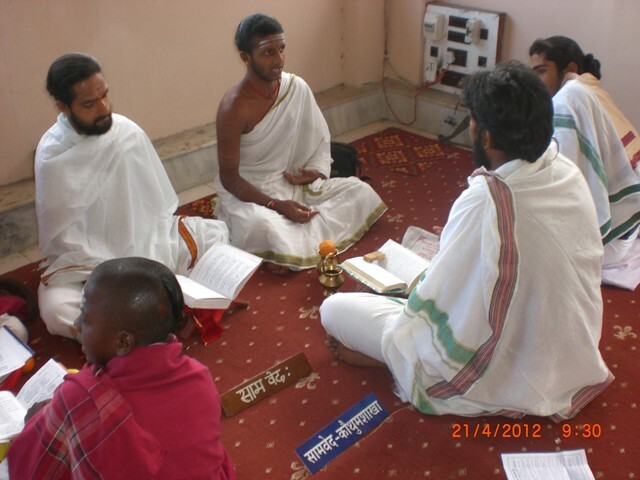 In addition to the Veda Parayanam, scholars performed Brahma Sutra Bhashya Parayanam, Upanishad Parayanam and Bhagavad Gita Parayanam. 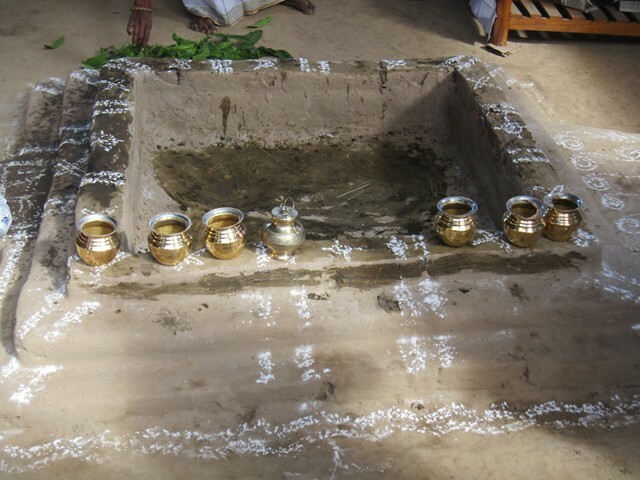 Valmiki Ramayana Parayanam, Sundara Kandam, Adityahrudayam, Bhagavatam, Narayaneeyam, Vishnu Sahasranamam, Durga Saptashati, Lalitopakhyanam, Devi Bhagvatam and Lalitha Sahasranama Parayanam was performed. 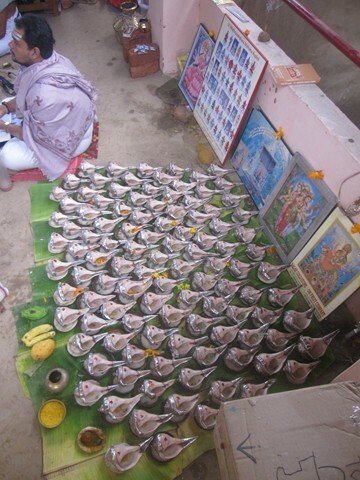 Women devotees participated in the Lalitha Shasranama Parayanam, Narayaneeyam etc. 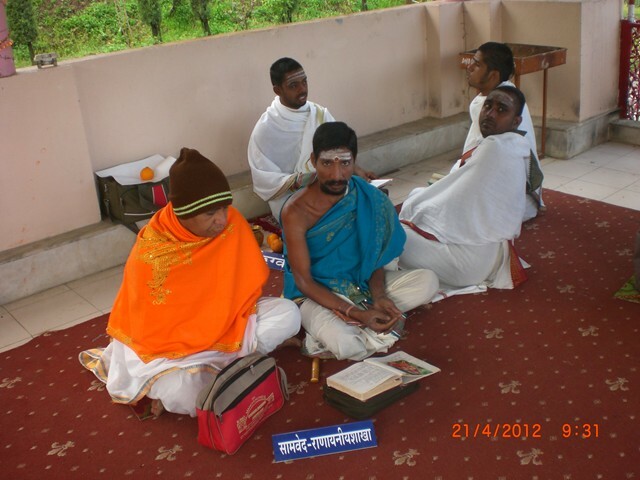 Upanyas (discourse) was held from 6 to 7 pm every evening from 20 to 24th April 2012. 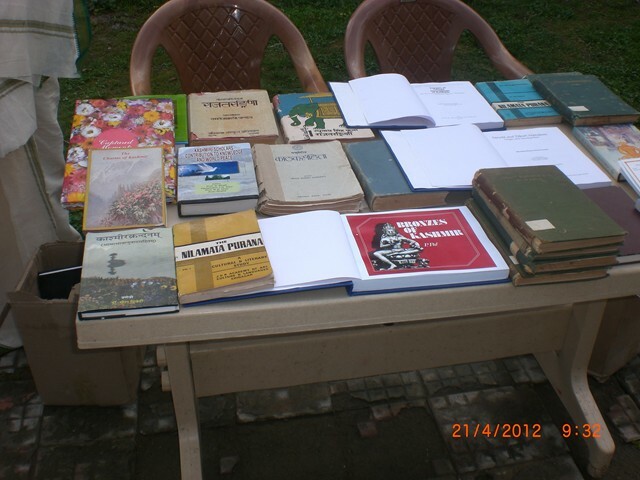 Eminent scholars spoke on Lougakshi Gruhya Sutram, Kashyapa and Gobhila Smriti and Katha Samhita. 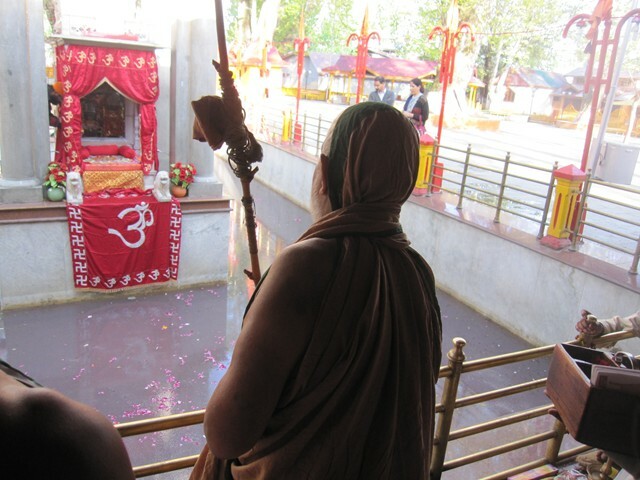 This was followed by a procession of Shri Adi Shankara's portrait from the Havan Shala to the Sanctum Sanctorum of Zaestha Matha, accompanied by the chanting of Svasti Vachanam, Totakashtakam and Vishnu Sahasranama. 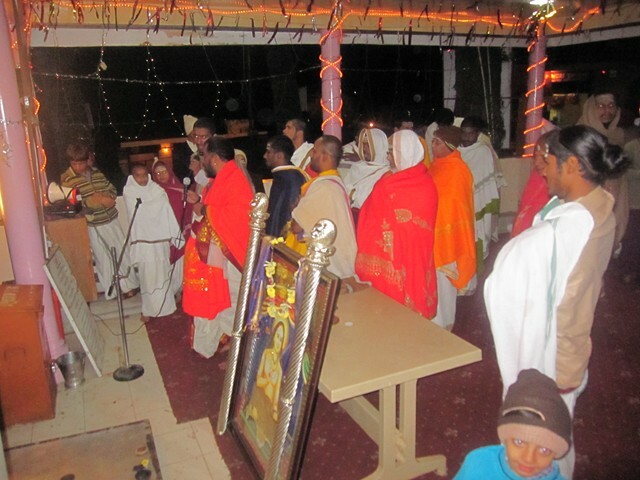 The last segement of the day from 7:45 - 8:15 pm saw the rendition of Harati at the Jyeshta Mata Shrine, followed by the Avadharaya on all days of the Saptah. 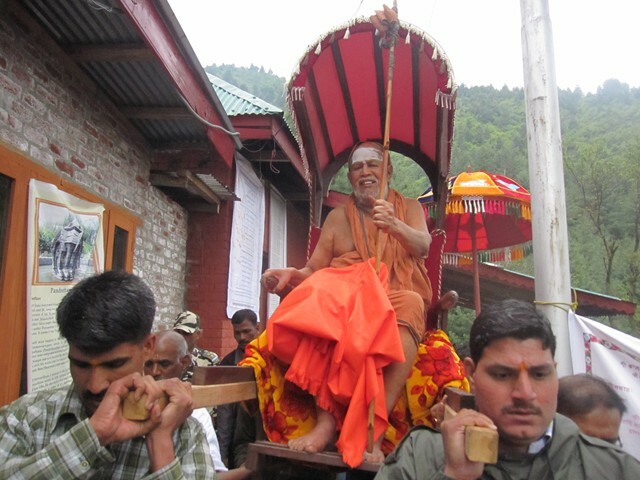 On the 26th, Poornahuti was performed in the benign presence of His Holiness. 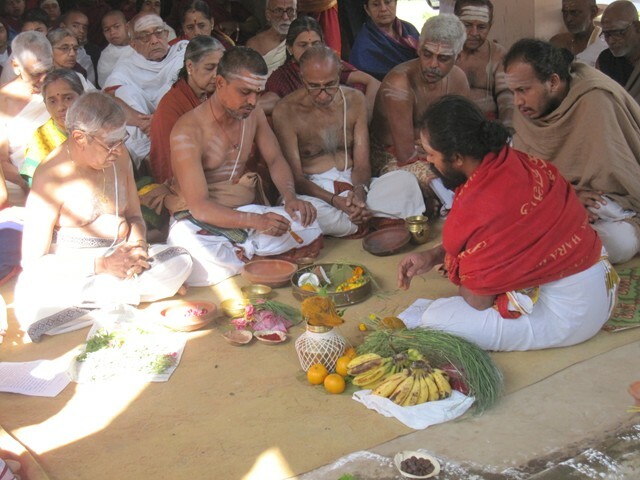 108 Shankabhishekam was performed to the Adhi Shankara Utsava Murthi, followed by Avatara Ghatta Parayanam. 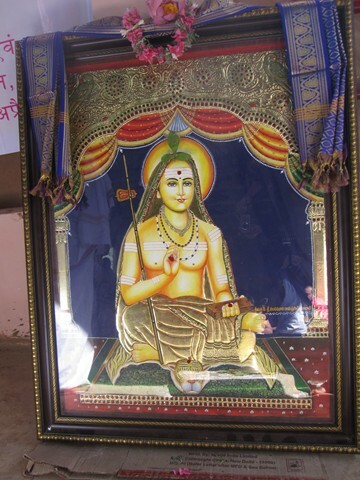 Sambhavana was given to all the participating Vedic Scholars. 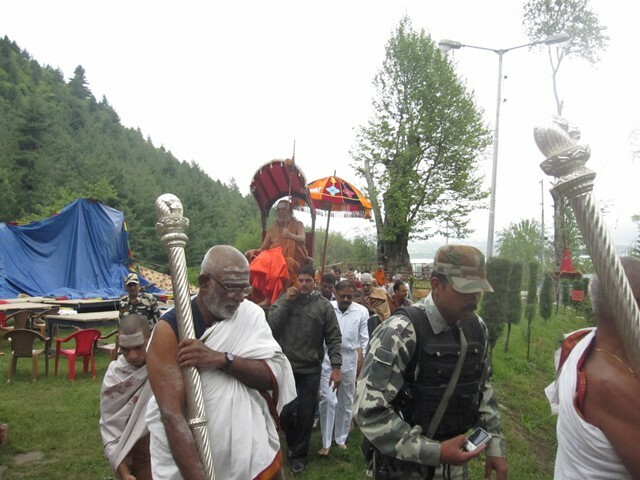 Devotees from various places across the country participated in the above Saptah and received the blessings of the almighty and Pujyashri Acharya Swamijis. 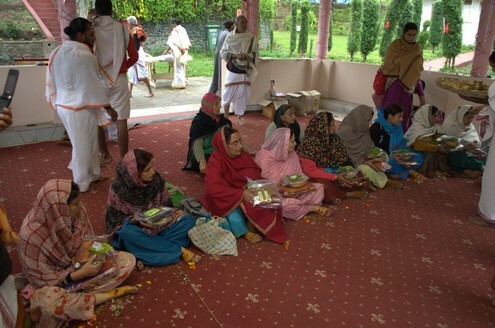 On the 26th, Suvasini puja was performed to women belonging to the Kashmiri Pandit families. 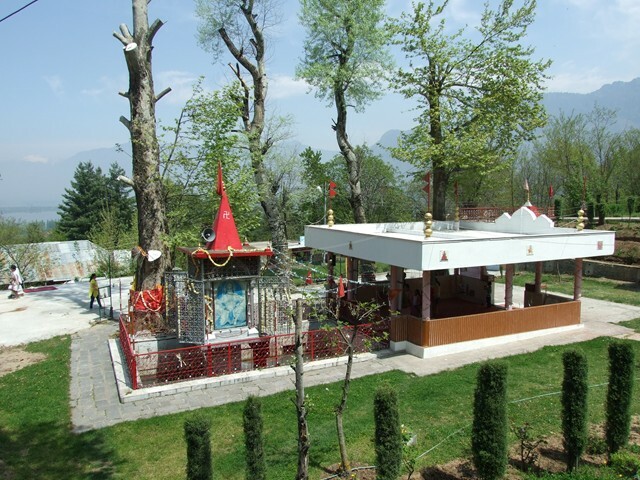 The Jyeshta Devi Temple Prabhandak Committee(Z.D.P.C.) 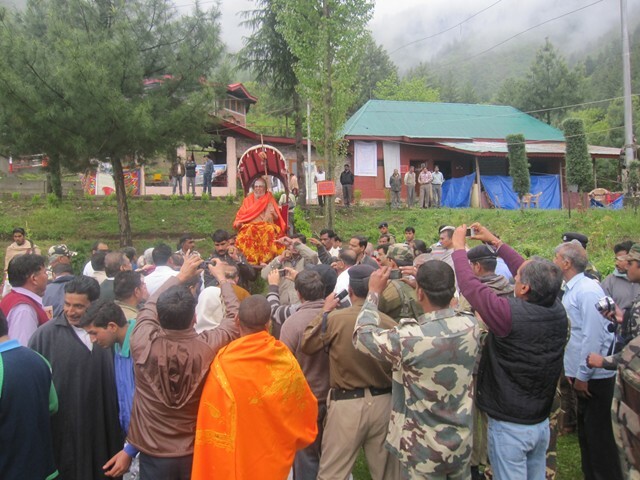 held a felicitation programme and paid their respects to His Holiness. 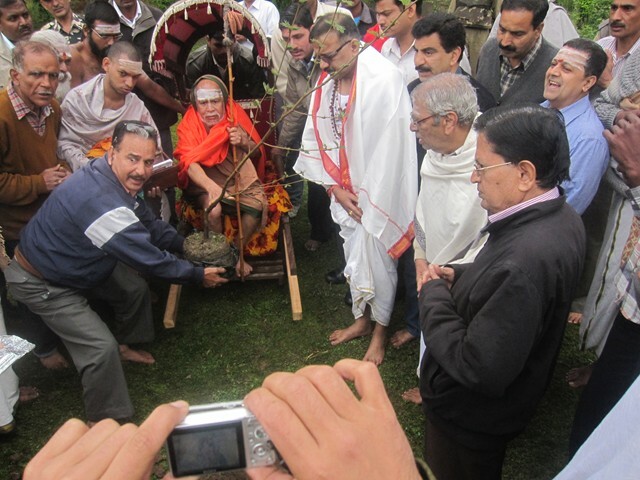 His Holiness also planted a "Chinar-Tree" sapling in the temple premises.